Can software actually get volunteers to track time? Getting volunteers to actually track time is difficult. In this day and age, you can find plenty of articles online from experts talking about volunteerism, such as volunteer engagement, building capacity, and volunteer retention. However, despite what’s out there, none of them actually go into the specifics on HOW to get volunteers to actually track time. Type how to get volunteers to actually track time in a Google search. There’s nothing out there. And you know why? Getting volunteers to actually track their hours is hard, every organizer struggles with it, and honestly, nobody wants to admit it. Software (alone) is not enough. It can help, but it won’t work if the foundation of your volunteer tracking program is not working. Download the quiz on the bottom of this page to help you determine if software is the right solution for you, or if you have a structural problem that you need to take care of first. To help you determine if a new software program will get your volunteers actually tracking time, you need to understand if you have the right structure in place and how software can be used to support it. What DOES software do to get volunteers to actually track time? It’s not good enough to just have your volunteers submit their time into a black hole, like Google Spreadsheets, and never again see where their hours are going. The majority of your volunteers, want to know how much they’ve volunteered, for their own motivation, and especially, to keep track of their progress if they have certain requirements to meet. Imagine that you were taking an online class that had 5 online exams throughout the semester, and you did not have access to see how you scored, but instead had to always email the professor. How annoying would that get? You, as the student, would, therefore, lose motivation because you don’t know how bad or how well you are doing. This is the same thing, but the right software can solve that. Whether you’re doing paper sign-in sheets or some other kind of system, sometimes volunteers are constantly recording the same information each time they volunteer - First Name, Last Name, Email Address, Phone Number etc. You may be thinking, “Well, we need that information.” Yes… but imagine how easier it would be for the volunteer if they weren’t constantly writing down the same thing over and over again? On top of that, if you have a long line of people waiting to sign in because there’s so much to write down, how many people are just leaving the line because they don’t have time. The right software avoids that because it can keep track of volunteer information so they just have to provide the basics - where they volunteered and how many hours. Volunteers don’t want to spend the extra time constantly emailing you how many hours they have left. At some point, they give up, and especially if they don’t know they’re behind, they may just stop tracking altogether because they may think they’re done. Depending on your organization, some volunteers are going out of their daily duties to serve in the community. The least you can do is require them to do extra work so they can really focus on what matters. Software definitely helps with that. However, just because you have a software system in place, doesn’t mean that your volunteers will magically begin to track hours, because maybe you still don’t have the right structural system in place. What DOESN’T software do to get volunteers to actually track time? It’s completely up to you, as the volunteer coordinator, to set up the right expectations from the beginning. The structure of your program, especially around time tracking, is critically important for your success. This may include rules, requirements and/or penalties. But don’t automatically assume that it’ll give a negative perception to your potential volunteers because at the end of the day, you’re just doing your job and you have to make sure that those expectations are met. Unfortunately, the software won’t create a structure but instead should support it. 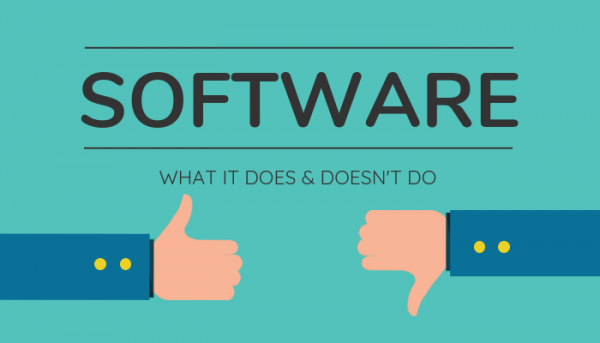 Software does make a lot of things easier for you, but there are still some difficult decisions that you need to make that software won’t, such as incentives. Just because you have them, doesn’t mean that volunteers will definitely track hours, but there are certain incentives that can help, and unfortunately, the software won’t give you those ideas. I, however, will. You can find it later in our series. Like I’ve mentioned, software isn’t the magic pill to helping get your volunteers actually track time and it certainly won’t fix all your problems. So don’t assume that if you invest in a software program, that everything miraculously will solve itself. Running a volunteer program and especially, one that has good time tracking records is a difficult job. But we will help you to get you on the right path. Once you confirm that you’re ready for a software program, there are a few more things you need to have set up to ensure maximum success, including the right reasons to track. If your organization depends on volunteers to receive grants or if your volunteers are required to volunteer a certain amount for graduation, then your whole organization SHOULD know how important it is to keep track of hours. But, DO THEY? And are you doing the right things to make sure they know and are reminded of it? We’ll talk about the different reasons to track in our next blog post and what your volunteers should know.